AireBeam offers in home WiFi service. Our Internet service is delivered to you on a CAT5 cable that can plug into a device equipped with an Ethernet Jack. Many families now have one or more hand held wireless devices that connect to a WiFi Hotspot. 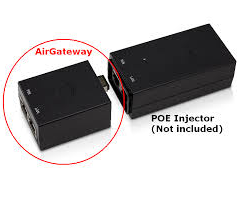 A WiFi environment is created by attaching either an Air Gateway (provides wireless only connections) or an Air Router (provides wireless and wired connections) to our incoming service cable, thus creating a WiFi Hotspot within your home. 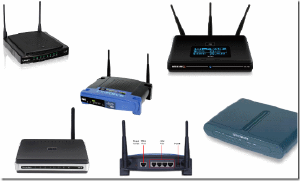 You may purchase one of these wireless routers at our office, take it home and program it and your devices yourself, or you can have one of our Installers deliver the equipment and program it (and optionally your devices) for you. Choosing the room in which you want the service installed is up to you; however, please remember that AireBeam installers do not fish cables through the attic or down inside walls (because of health and safety concerns for our installers). So, choose a room where you use your computers so long as that room has an outside wall located near your computers. If you have one or more wirelessly equipped devices, you should choose a centrally located room in which we will install the service. 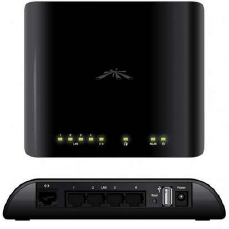 Then you should purchase a wireless router to be installed in that centrally located room. The more central the location, the more likely that you will have a strong wireless signal throughout your home. Ethernet switches enable you to share a connection coming from an upstream source with multiple downstream devices. They are useful for connecting wired devices. Switches come in 5, 8, 12, 16, 24, and 48 port sizes. 12, 16, 24 and 48 are designed to be table or data-rack mounted. AireBeam stocks 5 port switches (available from our installers for $29.95, tax included), and we can order and install the larger 8, 12, 16, 24, and 48 port devices for you. Before you make a switch decision and investment, why not email us with your requirements so that we can offer you some free advice?